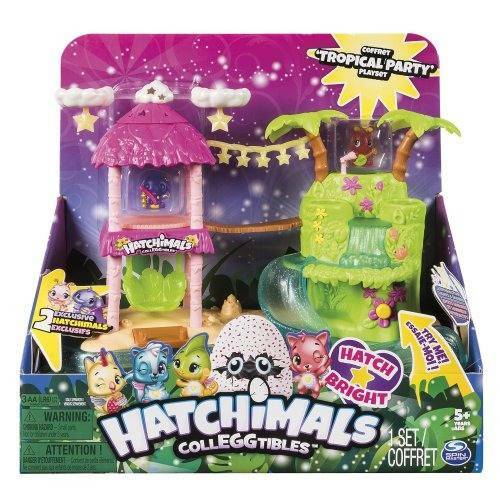 You're invited to the Hatchimals CollEGGtibles Tropical Party Playset! With light-up stages, twinkling stars and multiple light effects, this playset really shows how your Hatchimals shine! You can even listen to fun party music and unlock secret musical effects! With half-volume mode and lullaby mode, your Hatchimals can throw smaller parties too!